LawPracticeZA has been one of the most valuable tools in my practice. It's simple and easy to use, but most importantly the support from the LawPracticeZA team is amazing and only an email away. Quick response time with clear explanations. It's also cost effective as it offers variable prices depending on the number of users. So even for the small law firm it is definitely worth it. I would recommend LawPracticeZA to any size law firm. I am currently and have been an extensive user of LawPracticeZA. I confirm that the usage of the software has made an immensely positive impact on my business and practice, both on collections of outstanding bills as well as the keeping of records of information, without having to worry about computer crashes. Dealing with Andrew Spagnoletti is a pleasure. He makes the turnaround time of enquiries seem effortless and painless, as he responds immediately and resolves fast. I am happy to be partnered with such a great person and a phenomenally good product. Any practice in the industry of law, is making their greatest investment when they choose LawPracticeZA as their primary tool of operations. The product is an industry must-have. We are really impressed with the LawPracticeZA site. It has been a pleasure to work with and very user friendly. TNK attorneys are also impressed with the after sale service of the product, which service has been extremely efficient in solving any minor problems at any time. We are pleased with the product, which saves us time in drafting our accounts and keeps a proper diary record and updates us on all matters. We would recommend and urge other firms to get onto this system, as it makes drafting of all accounts simple and easy. After 14 years of running my own law firm and having tried and tested so many different products, we have finally found a system that accommodates all our legal and accounting requirements. LawPracticeZA is simple to use, allows us to look after our clients, aim for our targets and reflect on company growth. The support of Andrew Spagnoletti of course is simply incredible and is in keeping with the overall excellence of this system. Just a quick thank you. Your system is easy to use and I have managed to deal with all of my administrative issues (sending of accounts) in less than an hour. We have been very happy with our move to LawPracticeZA and I have no hesitation in recommending it. LawPracticeZA is now paying for itself because it is easier for our lawyers to record their time, the search functions make it quicker to find what one is looking for, and the amount of time our administrative staff spend preparing invoices has been substantially reduced. We found the transition to LawPracticeZA surprisingly easy after our experiences with other accounting and time-recording software. LawPracticeZA assisted us to upload our data across and because the product is so intuitive to use, our staff required very little training. We have also appreciated the fact that the developers (Nitric) were willing and able to make the minor adjustment we asked for to make the software work better for us. Attorney Bianca Larratt of Durban, who recently went on her own, says: "LawPracticeZA bookkeeping has been stress free and the billing in particular has had a positive impact on my cash flow. I have nothing but good things to say about your product. It's affordable, user friendly and your support has been great when we've hit a snag." We joined LawPracticeZA in December 2016 and since are very happy with our move, and we have no hesitation in recommending this software to any law firm. The product is extremely user friendly. The functions of recording time, searching, drafting and invoicing are easy and saves a lot of time. 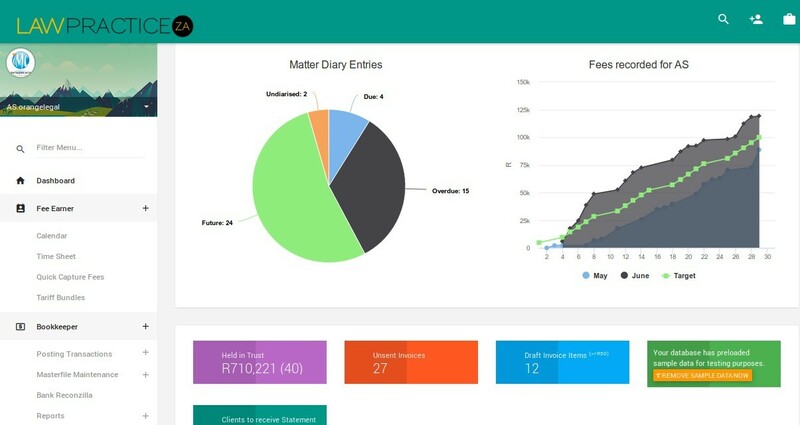 The new Dashboard is a personal favourite as you can with the opening of the program see what needs to be done, either in the sense of the daily diary, invoices to be sent, the fees recorded for the month to date (and previous month) to date etc. Literally with the 'click of a button' you have the information you seek on one screen! Since we started using LawPracticeZA, we found that Andrew and his team went out of their way to accommodate us and they made various changes to the program in order to make it even easier to use and to suit our specific needs. The bookkeeping functions are also easy to use, the financial reports are in Excel, which is very helpful and with our auditors' visit the information sought was quick at hand. What mostly impressed us was the after sale service, the training, patiently listening to our needs and actually then doing something about it. Our firm began using LawPracticeZA in May 2018 and will not even consider looking elsewhere. The system is an absolute pleasure to work with, providing simplified but comprehensive recording, billing, reports and the like. What most stands out about LawPracticeZA is not only the very reasonable price and the valuable time it saves the firm in doing all of the accounting and management; it is the absolutely outstanding customer service they offer. Andrew has always responded in a very timeous manner, offering a very detailed explanation of how to perform tasks and transactions and how to rectify any mistakes that have been made by the user. I would recommend LawPracticeZA to any person/firm without any hesitation whatsoever because every single thing about it is just so efficient. LawPracticeZA is a credit to the developers and to our firm and as such has become a valuable asset. Ons firma het in Februarie 2018 begin om LawPracticeza te gebruik en kon onmiddelik ‘n verhoging in fooie sien. Die stelsel maak dit baie eenvoudig om alle uitstaande fakture van ‘n enkele kliënt op te volg. Fakture word in ‘n fraksie van die tyd opgestel en onmiddelik vanself uitgestuur. State is ook maklik leesbaar en verstaanbaar. Die sisteem maak dit ook maklik om fakture en state oor WhatsApp te stuur aan kliënte wat nie e-pos gebruik nie wat beteken dat alle kliënte op hoogte gehou kan word van hul uistaande rekeninge of om aan kliënte te verreken. Dit stelsel is ook baie eenvoudig om te gebruik. Dit is fisies onmoontlik om fooie te verloor aangesien dit jou toelaat om selfs van jou selfoon af rekeninge op te stel wanneer jy in die hof sit en wag vir tyd om verby te gaan. Andrew is baie behulpsaam en oop vir voorstelle om die sisteem te verbeter na aanleiding van die kliënt se behoeftes. Die feit dat die sisteem “web based” is beteken dat ‘n mens nooit weer data sal verloor nie en dat jy van enige plek en enige tyd kan werk solank jy ‘n internet konneksie het. LawPracticeZA kan met gemoedsrus aan firmas van enige grootte aanbeveel word. We migrated our accounting system to LawPracticeZA about a year ago and we haven’t looked back since. Not only is the LawPracticeZA platform significantly cheaper than our previous legal accounting system, but it has also proved to be a great deal more functional and user-friendly. That LawPracticeZA is a cloud-based legal accounting solution means that we are not restricted to using its considerable benefits only from our office, since we can access LawPracticeZA anywhere. We have made suggestions to Andrew and his team from time to time concerning what we consider to be value adds for our practice and our suggestions have always been enthusiastically accepted and effectively acted on. I strongly recommend LawPracticeZA to my colleagues. I have found this programme to be invaluable. It is much more intuitive than similar, competing programmes, is easy to understand and to operate, even for the technologically challenged! The support during my initial stages of using the programme was prompt, efficient and very patient. I have no hesitation in recommending this programme to any attorney in any sized firm. As a growing in-house legal department we required a system to effectively structure and manage our day-to-day legal matters and to accurately report back to the board on hours 'billed' to each of the investment companies we represent. LawPracticeZA has made it possible for us to structure the in-house legal department like an attorneys firm, allowing us to open files for matters, allocating hours spent to matters and diarising matters – amongst others. Mastering LawPracticeZA has been hassle free and we enjoy the flexibility the system offers. 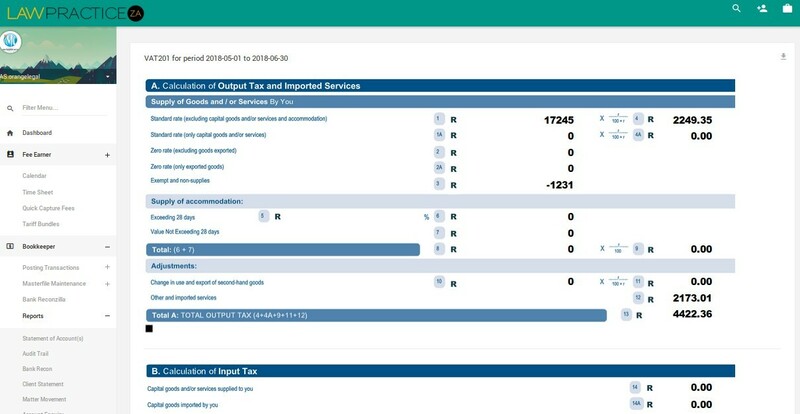 LawPracticeZA's simple interface belies a powerful, complex system with a great deal of automation and controls for maintaining accounting and data integrity. The dashboard shows fee earners their current unbilled and billed totals compared to their monthly target. For those with bookkeeper access, the dashboard shows important indicators about the state of the firm's financial records. 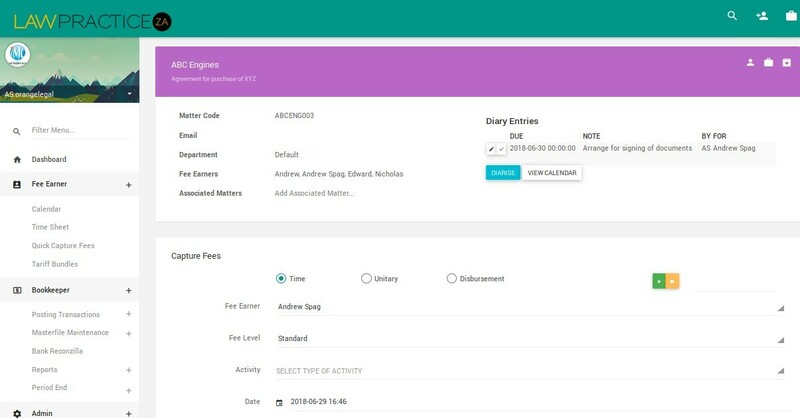 Each matter has its own page like this where you can capture fees, find contact information, view transaction history, upload attachments and more. 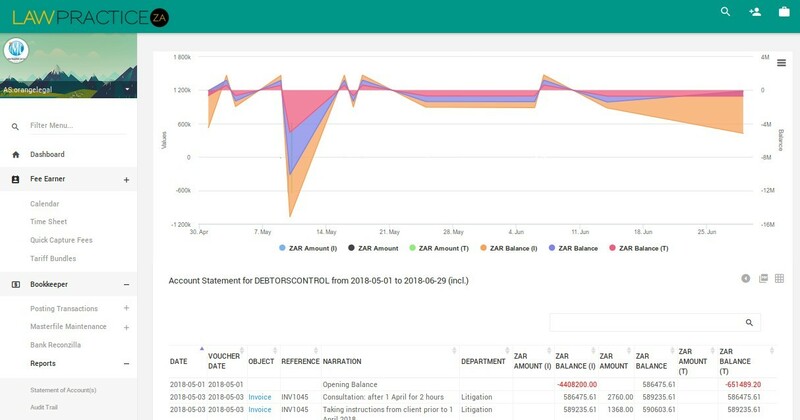 Query any financial account across your business, trust and investment ledgers to see full transaction history along with a visual chart that helps spot anomalies. Every report can be exported to Excel format (.xlsx) in an instant. The header search makes it quick to jump directly to another matter from anywhere in the system. It's easy to get into the habit of capturing fees as they happen with LawPracticeZA. Our VAT 201 report makes it a doddle to submit your VAT to SARS. You can evaluate LawPracticeZA for yourself right now. Head down to Get Started and within minutes you will have your own private instance of LawPracticeZA, with some sample data to play with, and a full manual. No hardware or software to install, instant access via your browser, whether using an Apple Mac, PC, Tablet or smartphone. Connect from anywhere, at home or at the office. 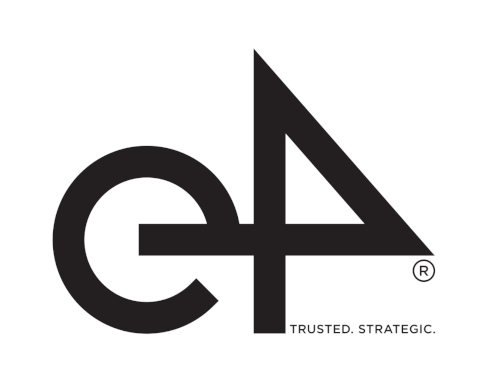 LawPracticeZA is now integrated with e4 Transfers. This integration eliminates duplicate financial capturing between conveyancing and account management systems and dramatically increases the efficiency and accuracy of client and matter accounts. 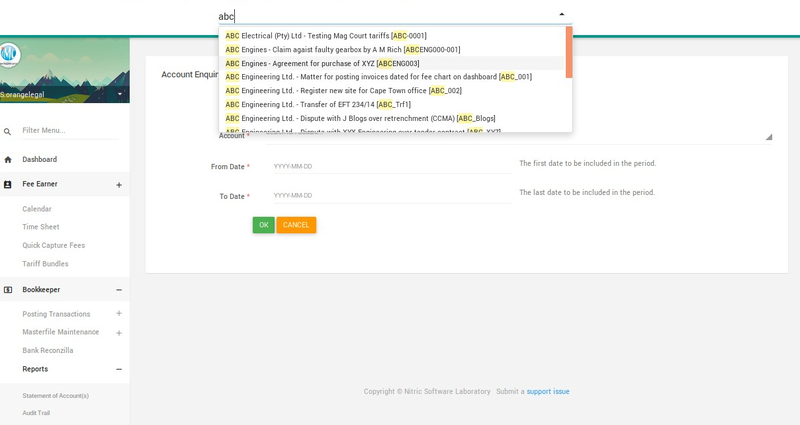 The integration requires a special e4 user to be added to your LawPracticeZA instance at no additional cost. Contact us if you need assistance setting up the integration. LawPracticeZA has been built with an API-first approach. All business logic operations and data IO can be performed securely over our secure RESTful JSON API mounted at /api. This means that developers are free to integrate LawPracticeZA with other systems such as document generation, business management, customer relationship management, etc. See the API guide in our manual for further reading. Get Started with full access in minutes! Complete the details below and we'll email you an initial username and password to access your own fully operational LawPracticeZA system now. No onerous contract, and you only start paying at the end of your first month if you're happy with the system. We will confirm before we start invoicing you. If you choose not to continue, no problem, just let us know and we'll remove your account and you won't be billed. Please enter a short unique word / abbreviation for your firm and then click 'Check Availability'. Firm codes should have no spaces, be all lowercase, be composed only of alphabetical characters and not exceed 16 characters in length. For example a firm named Somerset Attorneys Inc might enter somerset as their firm code while a firm named Ndlovu, Cohen and Pillay Attorneys might enter ncp as their firm code.